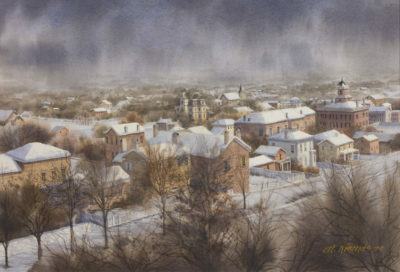 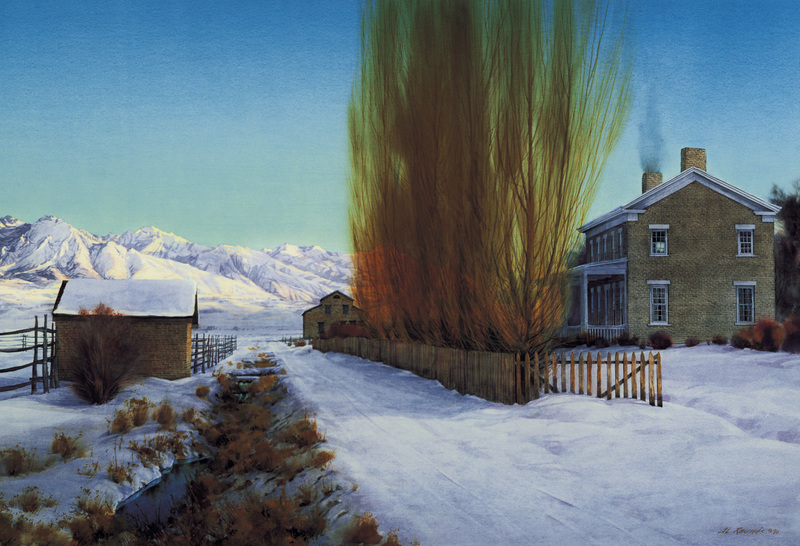 Located in modern-day Liberty Park, this painting shows the Isaac Chase Home and farm that still stand today. Isaac Chase offered a prayer at the tabernacle that the saints’ farms be saved from the crickets destroying them. It was then that the seagulls arrived, devouring the crickets and saving the crops. 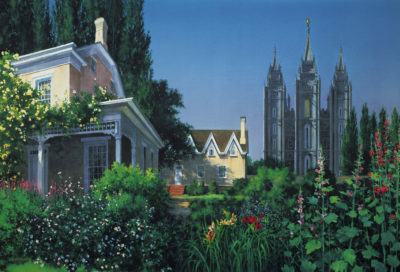 This home was later deeded to Brigham Young.